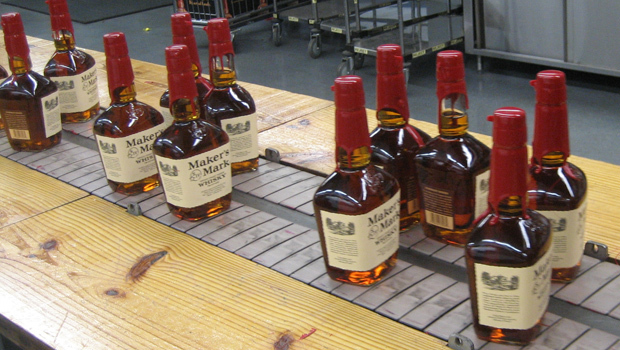 LOUISVILLE, Kentucky The producer of Maker's Mark bourbon is cutting the amount of alcohol in each bottle to stretch every drop of the famous Kentucky whiskey. The brand known for its red wax seal has been unable to keep up with demand that doubled in recent years. So the bourbon maker is lowering the alcohol volume from 45 percent to 42 percent - or 90 proof to 84 proof. Rob Samuels, chief operating officer for Maker's Mark and grandson of the brand's founder, says the change doesn't alter the taste. He says the recipe and production process stays the same, except "a touch more water" will be added when the whiskey comes out of the barrel for bottling. He says the change is permanent and will increase volume by about 6 percent.